Seems like a very forward-thinking idea, I hope it forms the foundation of a future standard for such devices. We take our various connections for granted, but the one time we really need them is during emergencies and disasters, so anything that can help improve communication under sub-optimal conditions should be welcomed by the industry as a whole. I love this idea. I'd also like to see it allowed for areas where regular communications are usually killed but where you're likely still within a moderate range of other people, like National Parks, that even basic voice or text communication could relay out to a normal cell tower where a call could potentially be bad, thereby no longer needing to carry a sat radio with me for emergencies when I'm off the grid. I hope this becomes a reality soon. The only options available now are Zello, that is decent, and FireChat which is not working very well lately. First messaging, then decentralised internet just like HBO Silicon Valley! I'm perplexed how an Apple Watch or any other device would "know" an emergency or natural disaster has occurred. How is that emergency status communicated to the device? And who decides what's an "emergency"? Right now the US President has declared an emergency and not everyone agrees with him on that. 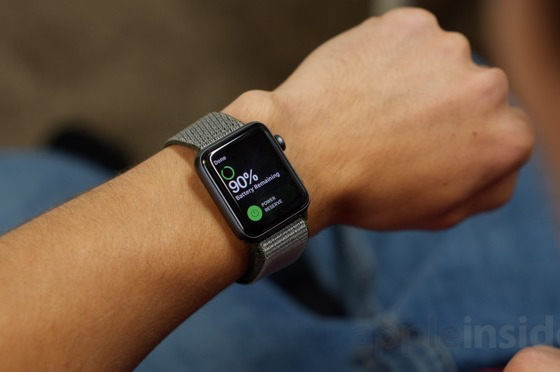 Does Tim Apple trigger the emergency event that causes our Watches to behave differently? This is an interesting application of a dynamically adaptive software defined networking (SDN) and spanning tree protocols. A lot of the synchronous device to device (D2D) communication techniques can be adopted from high speed motion control systems used in industrial automation, namely those involving isochronous control. Time synchronization technology is similarly adoptable using existing IEEE 1588 precision time protocol (PTP) implementations. 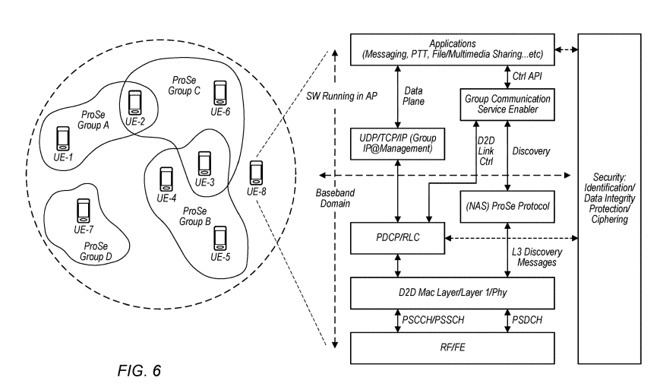 Likewise many device-level discovery protocols and bandwidth adaptive protocols (like 6LoWPAN) already exist. One of my pet peeves with technologists is that they too often seek to invent new technology to solve problems when it is very possible to solve the problem by adopting or adapting existing technology. It often seems that there are silos of technology that exist between different problem domains where each one fails to see that very similar or the exact same types of problems have been solved, or partially solved, in other problem domains, e.g., industrial automation versus medical systems versus aerospace/military. Instead of adopting, adapting, and reusing everyone wants to invent. This highlights a very important distinction between innovation and invention. Innovation occurs when something delivers value to its consumers. Invention by itself has little value until it solves a problem. Once invention is put to good use it transforms into innovation. The application of existing inventions via adoption, adaptation, or reuse very often results in innovation. Inventing something when adoption, adaptation, or reuse were possible somewhat reduces the innovation potential of the invention. Not knocking Apple's work at all. I just wish that there was a greater cross-domain focus on solving these types of common connectivity problems and a lot more effort to adopt and adapt existing technology whenever possible. Inventing and building things from scratch is incredibly expensive and time consuming. Really interesting patterns. Not all devices are directly connected to 3/4/5G network. Only one, iPhone, is enough. This really simplifies connectivity to outside on devices. And I guess that this would be very secure. Conditionally determined: no cell service available but other devices detected and it offers to reach out perhaps. The word "emergency" isn't found in the three patents this article links to. AI presumably used it in the headline as a speculative use for the technology, and the natural disaster example they give is but one application, don't stress out about it. Almost at the other end of population density, a school could use it the create no internet access between students and school resources like video, library and class materials. At the same time Kids would only have more general/filtered internal access via a parents device. Shouldn't have canceled Airport routers?? Apple just put them into an electronic chrysalis. Zello still requires an internet connection, no? This functionality should’ve been out a long time ago, and should not just be for an emergency but anytime you can’t get the network connection! Additionally you should be able to use your same cellular service from an Apple device with any car you use. Nobody should have to pay for a second cellular connection in the vehicle when you already have one in your pocket! Along those lines Apple needs a CarKit, the same kind of thing like HomeKit but for the car. The trick is to get most devices signed into a single standard. For donreasin this reminds me of Star Trek, where messages are sent on a sub-space frequency. Sounds cool, whatever that is. But imagine all smartphones, and some other devices with sufficient battery power, having extra hardware, separate for security reasons, to participate in this type of network. That hardware and it’s supporting mini-OS has the task of creating its own little hotspot and detecting and connecting others within range to establish a wide area network. It might then be agnostic with regard to what traffic flowed on the network. Then each smartphone or other device could utilize the network just like a WiFi hotspot. Which is, of course, the whole idea.